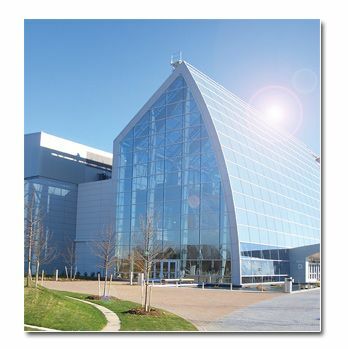 Saflex® SG solar absorbing interlayer is an effective, high visible light transmitting, solar control product designed to produce laminated glass with enhanced solar heat gain performance as compared to monolithic clear glass and laminates made with standard clear PVB interlayer. Saflex SG is specially formulated for the architectural market and has the capability to meet or exceed regulations for laminated safety glass when properly selected, laminated, and installed. Plus, Saflex SG is specifically formulated to provide exceptional durability when exposed to natural weathering. • Minimale afname: neem contact op met ons Qdel verkoopteam.